Joseph Speed Paxton was born in 1876 in Sandhurst, Victoria, son of John Paxton and Jane Williamson. He married Jessie Hair Spence (1877-1953) on 4 April 1900 in Waterloo and they had 3 daughters. Joseph Speed Paxton died on 24 August 1955 at his residence 265 Lakemba Street, Lakemba, NSW, aged 78 years and he was cremated at Rookwood Crematorium. He lived at 113 Pitt Street, Waterloo. Warrant Officer Joseph Speed Paxton when employed at Victoria Barracks in 1920, sued the ’Globe’ Newspaper Company, claiming £2000 damages for libel. Paxton alleged that the defendant company printed in ’The Mirror’ an article stating that he had been employed on home service at Liverpool Camp and was not a returned soldier and therefore should not be employed as such. It added he should be demobilised and his place taken by a returned soldier. The allegation was untrue, as Paxton had several times tried to enlist, but could not be spared. A verdict in favour of Paxton was returned and he was awarded £100 damages. Paxton, as Mayor presided over the prize giving at Waterloo Ragged School in 1911. Joseph Speed Paxton was an alderman on Waterloo Council in 1908-13 representing North Ward. 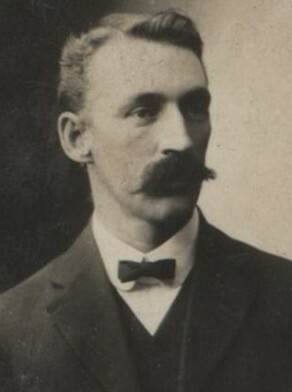 He was mayor in 1911.